Looking for Handmade Staircases in Canterbury? Talk to the team at Spittlywood we have been fortunate enough to install several staircases in Canterbury including this one for Lord Marks. This classical staircase in Canterbury features a spraypainted finish, traditional cut strings and an Oak handrail a real labour of love for any joinery company worth their salt. The wood used in this Canterbury staircase is a Hard Tulip which makes a change from our regular wood of choice the trusted American Oak the team used a Hard Tulip as this type of timber is well known to be excellent at retaining painted and enamelled finishes. Based in Canterbury and need bespoke staircases? We work with domestic companies and building companies alike to produce quality joinery installations. 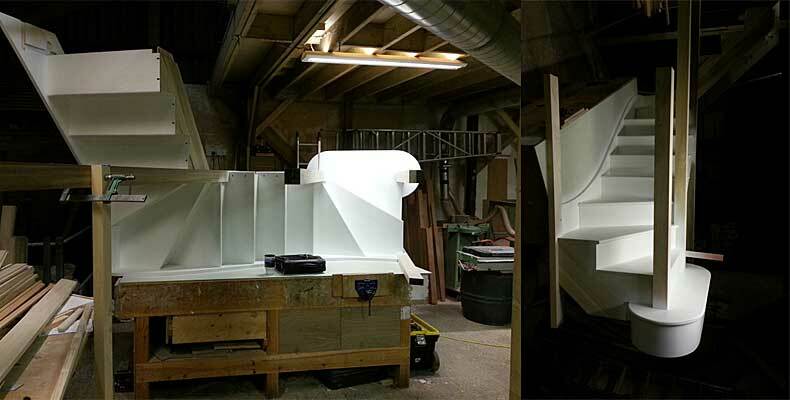 At Spittlywood The team have completed 100s of staircase installations across the South East, no two staircases installed by Spittlywood are the same, each staircase is handmade to order. More often than not our customer will have an idea in their mind’s eye some will be visualising a truly modern staircase such as a contemporary floating design perhaps finished with glass balustrading. Others will be thinking of a more traditional staircase design featuring natural curves and traditional handrails. 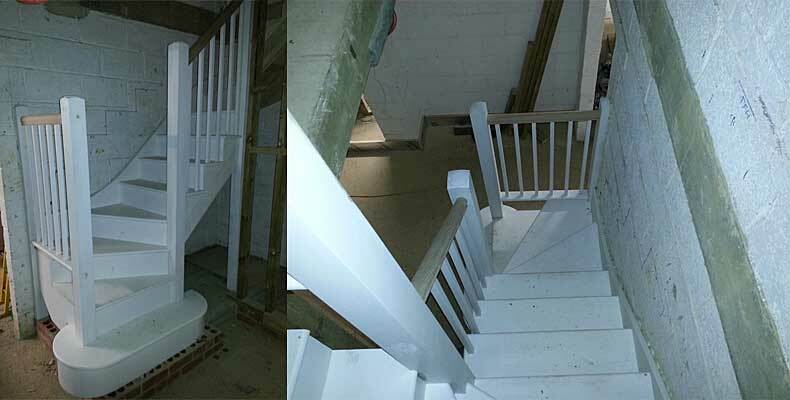 As discussed in this blog post some customers wish to achieve a particular finish for their new staircases such as a coloured wood stain or glossy paint finish. Spittlywood turn our client’s dreams into reality, a simple survey is all it takes, this will allow our skilled joinery team to understand the look you wish to achieve. We use the latest CAD software to give our customers a 3D impression of how their new staircase will look this enables our client to make tweaks and changes to the design until they are happy. Considering staircases in Canterbury, Feel free to get in touch and talk to a member of the team today.